My name is Kelsey Gourd and I work in Norman Public Schools as an elementary teacher librarian. As you’ve read here before, Norman Public Schools have embraced the Guided Inquiry Design and has trained MANY of our teachers, and all of our curriculum directors and librarians! I’d like to tell a couple stories to share with you why I am such a believer in the Guided Inquiry Process. In 3rd grade social studies, students are expected to learn about 9-11 specific famous Oklahomans according to the Oklahoma Academic Standards. Previously, this unit has been a bore. I’ve tried to approach teaching it with centers, choice boards, and online classrooms, but still students did not retain any knowledge about the people we were studying. They just didn’t care- much less did they grasp why we were learning about these people. This year, we transformed this unit into a Guided Inquiry Unit, and although we are only in the Identify phase, I have already seen such a difference in student’s engagement and learning! Open: We started this unit right after our Mock Election, so we opened this unit by reflecting on the leadership characteristics we discussed from the presidential mock election. What types of leadership characteristics are important? Students wrote about a trait they had with examples of how they show it. 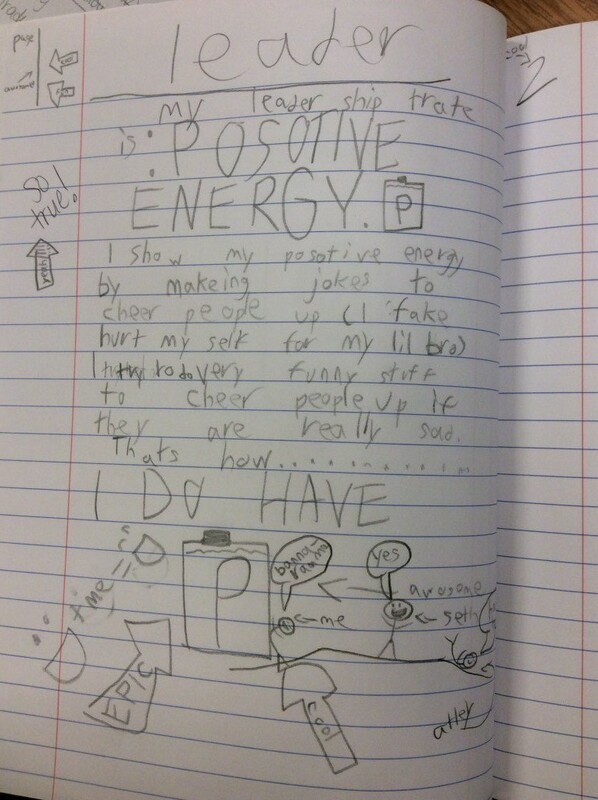 One student, who hardly speaks, wrote about how he is humble. I mean, this is third grade! I wrote a note in his journal about how impressed I was with his writing and his trait. I told him how his self-awareness is also a strength. Two days later, this student, who I have known since kindergarten and he has only spoken to me twice, started emailing me in the evening. Just to chat! Immerse: We dove into learning about Woody Guthrie, a famous folk singer who is from Oklahoma. He is most famous for being the “voice of the people” and writing This Land is Your Land. We read a couple books about him, watched a couple videos, wondered about him, and finally wrote in our journals about what leadership traits he displayed. Students were beginning to grasp the higher level thinking that I always wanted them to reach, and it was because of the way the instruction was designed. By using the Guided Inquiry Design, after only 2 lessons, students were analyzing biographies with the skill and reflection of having 20 lessons with the old way of instruction. Students were leaving with questions, rather just facts. Explore: This is where we really took our time. We spent one session learning how to use an inquiry log while browsing print materials. We spent a second session continuing the inquiry log with digital resources. Then we decided to go on a field trip to the Oklahoma Hall of Fame! During each session, students were encouraged to wonder, and reflect on leadership characteristics found in these various famous Oklahomans. Can we answer this question with a yes or no? Eliminate! If we typed it into Google, would a simple answer pop up on the screen? Eliminate! Are there any questions that are similar and we can combine? We went from a list of 8 questions to 3 high quality questions. But they weren’t big enough. This is where the guided part of Guided Inquiry comes to play. The teachers and I guided the discussion until together we came up with the giant overall question: How did they impact me? I had three marshmallows lined up. ‘How did they impact me?’ was the big giant marshmallow. The one you can barely fit in your mouth. The other 3 questions that were up on the board (What inspired them? What mistakes or challenges did they face? and How did they become famous?) were the jumbo marshmallows- the medium ones. They are hearty and good questions. Finally, all the little questions we had eliminated were the mini marshmallows. You know, the typical ‘when were they born’ or ‘were they married’ questions. We talked about how those answers were still important and how they contributed to the answer of the big marshmallow. During each one of these lessons, students left groaning, asking when do they get to come back! This has NEVER happened during our Famous Oklahomans unit. And to think, had we taught this unit like a typical research unit, we would have just skipped right over these steps. The Open, Immerse, and Explore phases of the Guided Inquiry Design are probably my favorite part!